The POS is the easiest way to start a store with a minimum initial investment while the KIOSK is an independent device through which the customer in full autonomy without the need for the operator can take advantage of the services integrated in it. The POS does not need any particular space, it is just a little bigger than a smartphone and it is not necessary to have an outlet because the battery can last up to 60 hours of use. The KIOSK is an independent column that requires very little space and an outlet. Both devices also have an integrated Wi-Fi and 3G Internet connection. From today you can sell cryptocurrencies by accepting payments directly in cash in a simple and fast way! You can also accept payments in cryptocurrencies for your products or services sell all phone top-ups, Mastercard and gift cards (Apple Store, Amazon, etc.). With a simple bank transfer your electronic wallet and with a single balance you can sell cryptocurrencies and other services with a single virtual wallet that manages all transactions instantly. Sell your most valuable digital currencies like Bitcoin, Ethereum, Litecoin, and Bitcoin cash and all top-ups and multi-service vouchers to your customers quickly and easily. 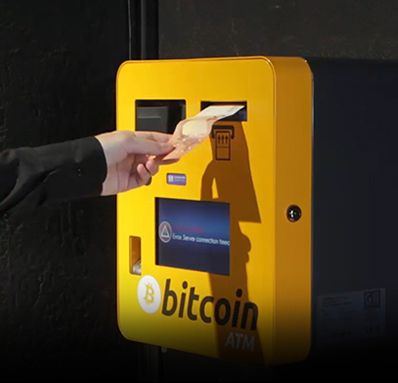 Bitcoin ATM software is a machine that gives people access to buy Bitcoins in exchange for hard cash. These machines are integrated with a scanner, a cash dispensary and an automated system to manage transactions. We, at Blockchain Developments, can help you create the perfect Bitcoin ATM software that will help your customers transect hard cash for Bitcoin anytime they need. App India offers Bitcoin ATM Software Developers at an affordable price. App India have a wealth of knowledge in ATM software development. We have expertise in ATM software development our developers develop best ATM software without bug and errors. We develop ATM software according to customers’ requirement and affordable price. 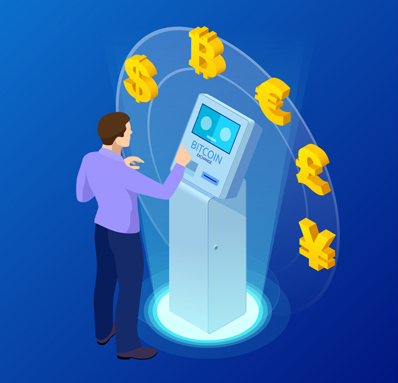 We are one of the best Cryptocurrency ATM Software Development Companyand ATM software solutions. And our experienced blockchain experts give a more relevant suggestion of your valuable project development. With our devices you can also sell a series of other services much requested by customers such as telephone top-ups, postal payment and subscription services. With our devices you will give your customers one more reason to come back to your room! The software of the devices is constantly updated; our programmers continuously develop new features to be added, keeping the services up to date with the demands of the market.